What started as a residential fight turned into a police pursuit and ultimately two people were hospitalized. 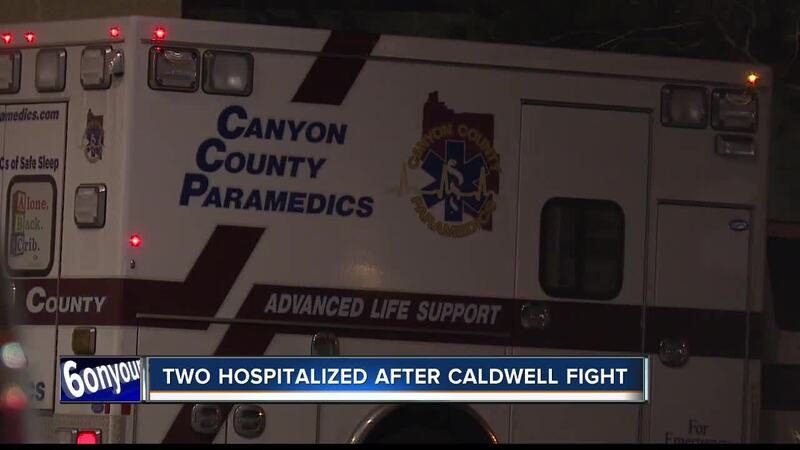 Police were first called to a fight at a home off Indiana Ave. in Caldwell. Officers say when the arrived they found a 37-year-old man laying on the doorstep of the residence, severely beaten. Witnesses told police one of the men involved had already left the scene. Officers found the suspect, later identified as 50-year-old William Kirkpatrick, near 3rd Ave and N. Illinois and made contact with him. Police say he had multiple injuries from the fight at the residence. While waiting for paramedics, Kirkpatrick tried to get back into his truck and leave the scene. An officer tried to pull him from the truck, but he started the engine and drove away, momentarily dragging the officer into the street. The driver lead police on a 6 minute pursuit through Caldwell, which ended at the West Valley Medical Center parking lot. Police say he continued to not follow commands, and a police apprehension K-9 was deployed in an attempt to take him into custody. Kirkpatrick struck the police K-9 multiple times before officers were able to subdue him with the use of a taser. "The suspect that lead the officers on the pursuit, once he finally did stop here in the parking lot, he did not comply with the officer's orders. He was still resisting arrest, and ultimately a police K-9 was deployed to assist in his arrest," said Lt. Joe Hoadley, a Caldwell Police officer. "He also battered the police K-9 at that time and officers eventually had to use a taser to take him in to custody." Both men involved in the fight are being treated for non-life-threatening injuries. The officer who was momentarily dragged was not injured. Kirkpatrick was booked into the Canyon County Jail after being released from the hospital. He faces charges of Eluding a Peace Officer, Mistreatment of a Police K-9, and Resisting Arrest. Police say additional charges may follow in the coming days. Police are still investigating the circumstances of the fight.